At L.A. Trucking (1994) Ltd. we believe that giving back to the community not only enriches the live of those we help but also help build a stronger community. 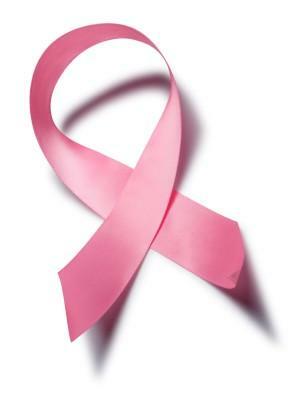 This annual event is one that is dear to our hearts as one of our own is a breast cancer survivor. On Sunday October 5, 2014 our team of 15, Mo's Courir Pour La Vie, joined the 127,000 participants and volunteers on Run day--through the support of generous donors this years event raised over $25 million for innovative breast cancer research, health education, and advocacy initiatives throughout Canada. The funds raised this year will have an impact and will help bring us closer to a future without breast cancer. But, with 24,400 women in Canada expected to develop breast cancer in 2014, we can’t stop now. Since 2005, L.A. Trucking (1994) Ltd. has been a proud partner of Alberta's Promise working to enhance the resources available to children and youth in communities throughout the province. We believe that we have a collective responsibility to do more for the next generation, and that the opportunities we give children today will shape their success—and our collective economic and social well-being—tomorrow. Alberta’s Promise is dedicated to improving the lives of children and youth by giving the young people of this province every opportunity to realize their full potential. That’s where Alberta’s Promise begins. We inspire ideas, action and investment that help fulfill the vision of this province that all children and youth are valued, nurtured and given the opportunity to reach their full potential. We are raising awareness of youth and children’s priorities, making it easier for businesses to support youth-focused agencies and working with our partners to bring those partnerships to life. L.A. Trucking (1994) Ltd. has supported Kids Help Phone throughout the years and we are committed to help keep our kids safe. Not only has one of our own been a board member for over seven years, we have sponsored and participate in Bowl-a-Thons, raised money at Company functions, and provided speakers for events to help spread awareness of Kids Help Phone. We know that our involvement has helped save kids lives and has given them an opportunity to become productive members of our society. Our involvement does not cure an illness or feed the poor but it has given a place for our youth today to deal with bullying, peer pressure, home situations and anything else that is troubling to them—no matter how small or insignificant it may seem to us.